Some persons want things to be quiet, reserved, low-key, understated, when it comes to their special day. I need to respect a particular person's right to come in under the radar. This is hard to do. A birthday is personal. Mine is personal to me, and yours is personal to you. But none of us are born alone. Someone bore us, and I have understood and appreciated this since March 1, 1991. Actually, the concept was really contracted home for about twenty fours prior. His birthday is my birthday, and while I do not see this as license to take center stage, I cannot help feeling connected and responsible, involved. I will save all my messages and affection, my deep thoughts, and other musings for him alone. And for the record, I will talk about pie. My mommy dreamt up a pie. It was a feeling, an emotion, an expression of culinary destiny. I think her vision's mission statement is: Pie Should Not Be Understated. When she came in December she and I were on the lookout for varieties of chipotle jelly, jam, chutney, preserves and powder. We were going for something without dyes. Something that didn't taste pickled or overly processed. She already had great success with her developing recipe when she baked pies in Southampton, Ontario, and over Thanksgiving with the Soquel family and guests. Seriously. Their statement about Grandma BooBoo's Chipotle Apple Pie is a landmark in the legacy of pie. Mom found a marvelous chipotle jam and sent it to me, and the boys have waited in patient anticipation for me to attempt making Grandma BooBoo's Chipotle Apple Pie. As yet, there is not an "official" recipe, and my mom was a bit disappointed in the version she baked while she was here, using chipotle powder. She was disappointed, but the boys were clearly not. I added half this jar of jam, decreased my sugar, and proceeded to make my basic apple pie, and... Success! I wish Delia were here so we could fine tune the recipe and make scientific measurements, but the boys are completely onboard with this spicy chipotle pie, so we must be in the right zone. Uh, well sorry, but there was a bit of a pie frenzy and no one wanted to pose or look natural, so maybe next time. I'm sure we can easily imagine all the lovey dovey Mama gushing things that are in your heart at such a time as this. We will pretend you needed to talk pie all along. Chipotle? Really?? Would love the recipe. Mmmm, pie - yummy, yummy yummy!!! I have two favorites, berry pie or Dutch Apple, warmed with a slice of REAL cheese on top. Oh, to die for. I'm with Ashely, not too sure of Chipotle... but since you had a happy bunch, that's all that matters. That pie sounds like a winner. I had no idea such a thing as chipotle jam even existed! And...happy birthday to both of you! Oh my, pie! My children will ask for pie instead of a cake any day. My 17yo daughter made a cherry pie for my 12yo son for Christmas this year for him to eat all by himself. It was his best gift ever. And anything chipotle is loved by all in this house. 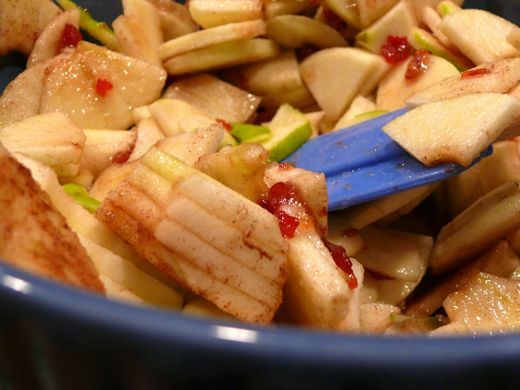 So I need your chipotle apple pie recipe. 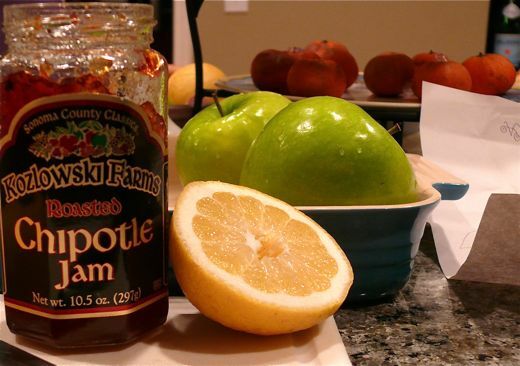 so happy you found Kozlowski's jam! I visit them almost every time I venture into Sonoma County. They have a lovely shop and tasting room on the farm, where they sell home-made pies, too (the raspberry is particularly tasty, yum!) Try their chipotle-raspberry sauce some time - lovely over chicken!